I don't know if you happen to remember the 80's country craze or not, but let me refresh your memory. Almost everything was slate blue and mauve. There was lots of pine furniture and an abundance of wooden knick knacks. Geese happened to be the animal of the era and were put on everything from dishtowels to breadboxes. When I got married in 1988, I happened to get a lot of these geese-covered items. I am not exaggerating when I say A LOT. There were no registries back in those days, so you were just thankful for whatever gifts people gave. But it did mean that I started off housekeeping with a lot of slate blue and geese surrounding me. So, with some encouragement from my husband to decorate like his mom, I climbed on the country bandwagon for many years. I fell in love with it. My sweet husband saw how much I wanted it and we splurged. We carefully wrapped it in a blanket and found a safe place for it to travel. When we arrived home, the beautiful piece still intact, I searched for the perfect place. Since then, it has moved around once or twice, but it is always placed in a prominent spot. It is still my favorite piece. You see, what I figured out was that I have to decorate in such a way that shows who I am. As long as I am being a good steward of our money and my husband is in agreement (thankfully, my husband has been very gracious with the changeover), then I should take an interest in making my home pleasing to the eye in such a way that represents my personality. 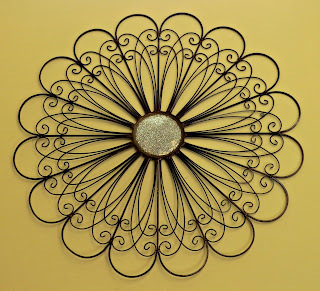 I don't have need for many more pieces, but every now and then I just see something that is worth making a spot for--like this beautiful metal art. I spotted it over the weekend. It is made out of used oil drums in Haiti. I wasn't planning on buying anything, but I knew immediately that this was for me. You see, once I started understanding who I am and what my style is, it became much easier making my home a beautiful and comfortable place for my family because it represents who I am as a woman. One of the things I struggled with early on in my journey of figuring out my style was my need for validation and appreciation. After all, if someone didn't like it, didn't that mean my style was bad or wrong? But then I realized that we all have very different tastes. Have you ever looked at a magazine and thought, "wow, that is just not me!" That's what I usually think if I look at a room filled with the clean lines and austere surroundings of the modern look. But that doesn't mean that either way is right or wrong. They are just different. We need to develop our own style, while at the same time appreciating the taste of others around us. It's not a contest. What have you discovered about your style? I'd love to hear if anyone went through a similar journey of figuring out who they are as a home decorator? It is fun to come to that realization that I don't need to decorate in some particular way just because it is "in style". It is so much more fun to have things that really represent you. I love the old farmhouse look (not the cluttered country look with geese) with wood furniture, a practical yet beautiful tools. I like rag rugs and quilts and things like that. What I have really discovered that I like best is having our home filled with things that either we made or somebody we know made - they might not be done as perfectly but to me they have character and I like that. I really like your window flower painting that you got. Very pretty. I can see why you fell in love with it. I love your window with the painted flowers. Oh my style has changed over the years. I started out really liking Tuscan and faux finished walls, dabbled in British Colonial and now I'm sort of anything goes cottage style. It's funny to see how my tastes have changed! I enjoyed your post very much. I remember well the gaggles of geese from the 80's! Over the years, I've found the "My Style" never really fit into a category. A little traditional, a little country, a little arts&crafts. Anytime I tried to reproduce what someone else said was Style, it just didn't work for me. 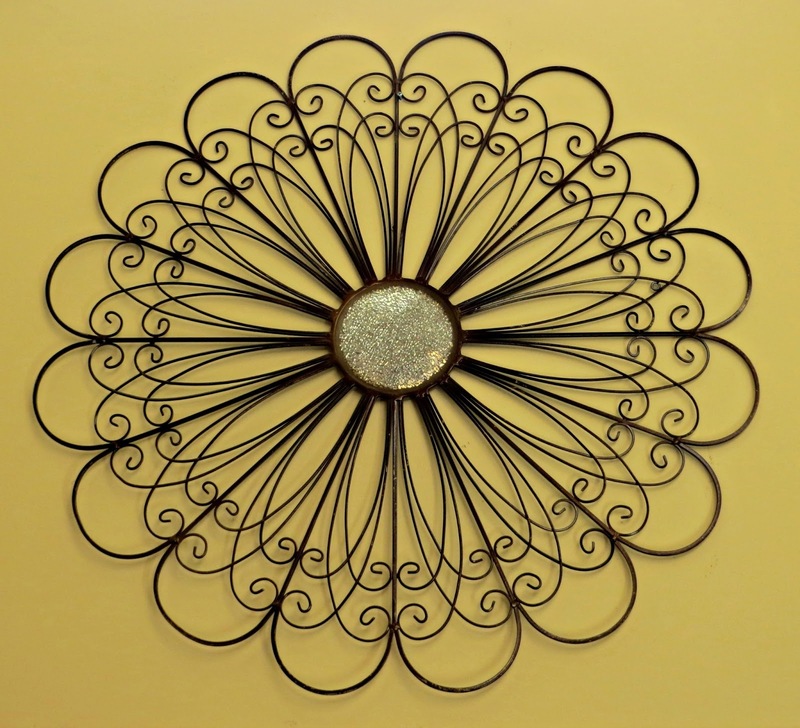 You definitely have a flower theme going with these pieces you love,but so varied!